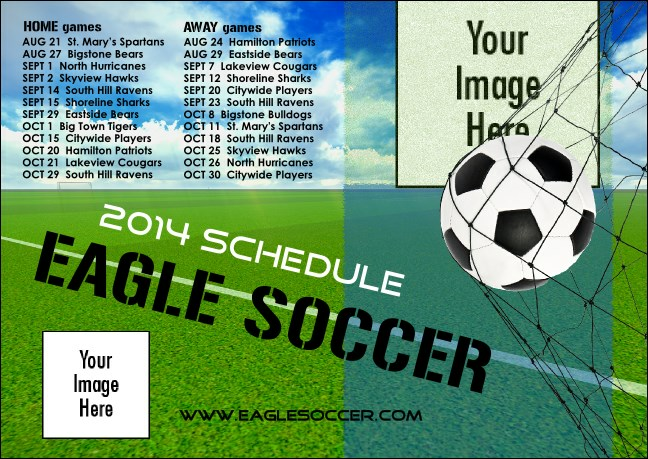 Play to win when you hand out the Soccer Schedule Club Flyer! This pleasing template lays a sunny soccer field before you as a backdrop to the team logo and an image of your players at work. A generous 29 lines of text can be used for the club name, website and season calendar. Score when you use the right club flyer from TicketPrinting.com!